Digital factories, smart manufacturing and energy efficiency are the themes presented throughout HANNOVER MESSE 2016 - the ultimate trade show for integrated manufacturing. We're proud and excited to be part of it and we can already state - Ambrell is going to drive the show! Induction heating is known for delivering fast heating cycles. Simply said: it improves productivity and reduces energy costs. These features make induction the preferred solution for industrial heating. So, minimize energy waste and see induction heating in action! 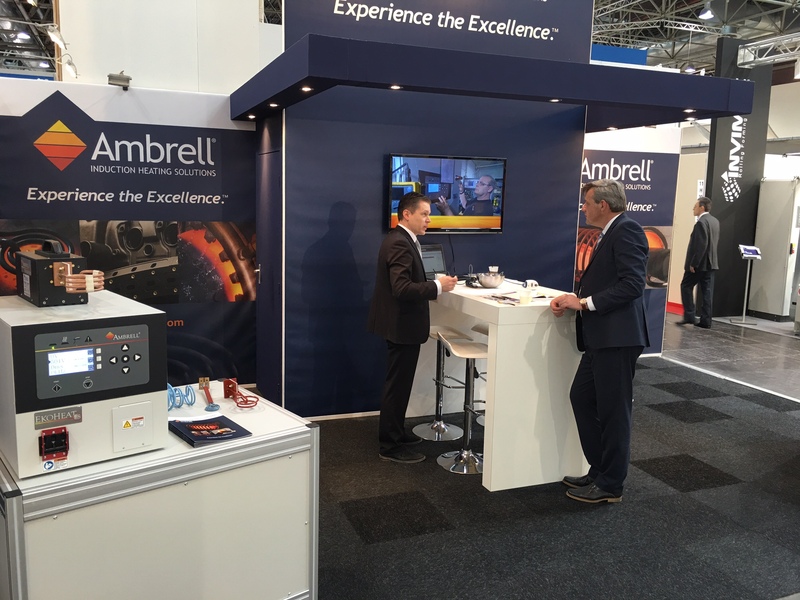 Ambrell will be exhibiting in hall 4, booth F71/1. Our expert staff is eager to demonstrate how induction heating can improve your production process. Sound like something you need? Schedule an appointment to meet with us or just stop by the booth. The show is running from 25.04 to 29.04, and here you can retrieve your complimentary ticket. Meanwhile, visit our Application Video Library to see various induction heating applications in action - maybe one similar to yours! We look forward to seeing you in Hannover!